Thanksgiving is two weeks away. This major holiday often means big changes in our lives for a few days. The time you spend with your horse may be different in the next few weeks because of your holiday plans. If you'll have less time to ride, then you'll want to make sure that your horse is still taken care of during this time. Here are some ways to plan for the upcoming holidays. If your horse will be having extra time off during the holidays, his diet will need to reflect the change, too. Give an honest assessment to just how much time you're likely to work your horse as Thanksgiving nears. If your horse has been in intensive work until the holiday, where his work will dramatically decrease, then start to edge off on the amount of grain he receives to help compensate for the change. If you find that you won't have much time for riding during the holidays but you want to keep your horse in work, then you will need to bring in the help of another rider. If your barn has a training option, this can help keep your horse fit and ready for your return to the saddle. Another option, depending on the temperament and training level of your horse, would be to enlist the help of a horseless rider. If there is an experienced, trustworthy rider at your barn who is looking for some saddle time, you might be able to work out an arrangement to get your horse some time under saddle during the holidays. Simply giving your horse time off over the holidays is fine, too – we all need a break now and then, horses included. Regardless of whether your horse stays in training or goes on vacation, provide him with the maximum amount of turnout time possible so that he can stretch his legs and stay fit on his own. Daily turnout will help to prevent boredom and is important for your horse's overall health. Before your schedule changes or you leave for a holiday trip, be sure to leave your contact information, including where you can be reached on each day if you are traveling. Post this information clearly on your horse's stall door, and leave it with the barn manager or your horse's caretaker as well. Holidays should be fun, stress-free times; with good planning you can make sure that your horse is happy and relaxed while you're away. 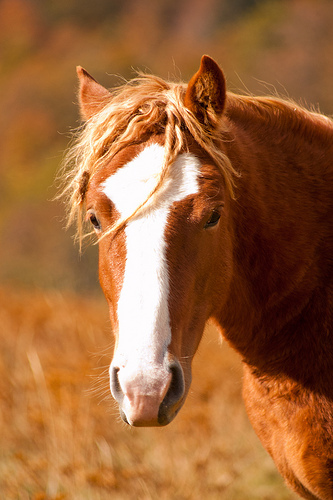 « Studs, Geldings, and Mares, OH MY!